Our reputable experience has earned us the most trusted plumbing service in Illinois. Our services include: drain cleaning, sumps pumps, garbage disposal, toilet repair, and leaky pipes. No job is too big or too small for Roto Flush. If your job site needs repairs fast, you can count on Roto Flush Sewer and Plumbing to get the work done right. Roto Flush Sewer and Plumbing professionals are available 24/7 to perform toilet repair, including running toilet repair, unclogging toilets, toilet installation and replacement, and toilet leak repair. If you have a problem toilet that always seems to clog, run continuously, or lack flushing power, Roto Flush Sewer and Plumbing specialists can help diagnose and fix the problem by performing toilet repair or replacement. Leaks from piping inside walls, piping under concrete, or from toilets and sinks can be detrimental to your home and business. Detecting leaks and dealing with them when they are small will keep you from the headache and financial burden of a possible remodel due to water damage. Even small amounts of water damage can create mold and devastate Chicago and Chicagoland homes. Call Roto Flush Sewer and Plumbing today and let us find the source of the leak before more damage occurs. Roto Flush Sewer and Plumbing are committed to providing the finest bathroom plumbing services available to the families and businesses in Chicago, IL, and its surrounding communities. Our customers will receive services and products that meet or exceed their expectations or we will make it right. 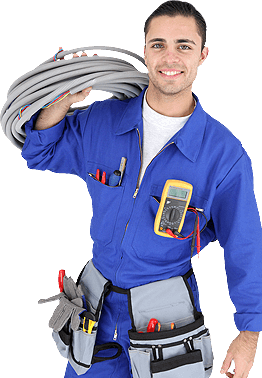 We have the finest trained personnel to assist our customers at their home or business. Roto Flush Sewer and Plumbing are committed to setting the standard for excellence in plumbing in the Chicago and suburbs. Roto Flush Sewer and Plumbing have some of the best plumbing fixtures for your home. Don’t go through a complete remodel or build a stunning custom home and then drop the ball when it comes to your plumbing fixtures or the selection of your plumbers. We have plenty of different categories you can choose some from the best plumbers in the industry. We have been serving the Chicago and Chicagoland Suburb communities providing beautiful plumbing fixtures to help complete the look in your home and kitchen. We also help to complete your remodel by providing a full experience and hooking your plumbing up as well! For one of Chicago’s and Dolton, Hickory Hills, Blue Island, Evanston, Hyde Park, Oak Forest, Riverdale, Illinois top rated plumbers, look no further.